PhilaSRT @ ASRT Annual Governance and House of Delegates Meeting in Las Vegas NV, June 21-24, 2018. ARRT has a similar partnership with the American Society of Radiologic Technologists (ASRT) Foundation and other professional societies. We fund educational and professional development grants for radiologic technologists, radiation therapists, and sonographers, awarding at least one $500 scholarship to each ASRT affiliate. ASRT Foundation winners for 2017 are: Jeffrey Adkins, Ame Allen, Sharee Alpeche, Vicki Bennett, Christopher Blissenbach, Jennifer Bond, Joseph Carter, Thuan Chau, Amber Clayton, Catherine Cooper, Julie Rhiannon Davie, Colleen Dempsey, Christopher Downing, Cheryl DuBose, Andrea Duda, Wendy Elvendahl, Demarcus J. Ferguson, Gina Lucia Foote, Jennifer Franco, Carlos Galindo, Kathleen Glassow, Eric S. Godinez, Elizabeth A. Gresey, Tina R. Hayes, Diana Iglewski, Tracy Iversen, Treavor Kattick, Sara Long, Andee Lortie, Ian Lysinger, Stephanie L. McKim, Kathleen Morency, Donna Murphy, Renee Nicholson, Julie Ostrowski, Jane A. Patton, Jane Schraut, Kristin Seitz, Hannah Shipler, Callie Sinanan, Kimberly Sison, Daniel Spines, Mirabel Azangeh Tandafor, Mackenzie Tanner, Marcia Thornton, Andrea Tschirner, Rebecca Van Ornum, Susan Wertz, Vicki M. White, Peter Yee, and Erin Zubia. This year's winner of the Most Effective Radiologic Technologist Educator award, Frances Gilman, DHSc, has seen many changes in radiologic sciences education over the years. But all of them reinforce one thing for her: the need for quality education and credentialing to accompany radiologic training. Gilman has been chair of the department of radiological sciences at Thomas Jefferson University since 2003, and she has seen the field evolve from a time when bachelor's degrees were unheard of to one where bachelor's and even master's degrees are now available at the university. Gilman started her career as a technologist at Boston City Hospital (now Boston Medical Center), which had one of the first university-based technologist training programs. She started in special procedures and then moved into CT when that modality arrived in the 1970s. Gilman took a detour from education to work for several radiology vendors, including Polaroid and Agfa, until returning to the field for a job at Community College of Philadelphia. A position as an adjunct professor at Thomas Jefferson University developed into a faculty position and, eventually, to her becoming chair of the department of radiological sciences. She credits her own experience as a technologist for driving her belief in credentialing and baccalaureate degrees. Such credentials give technologists more flexibility in their careers, both within radiology and outside the field if they choose to go that direction. It's particularly true now, as radiology becomes more technology-focused and sophisticated, and as hospitals focus more on patient-centered care. Gilman is nearing the end of her long career in radiology, with retirement just a few years off. But she still has one piece of advice for those entering the field as a radiologic technologist: Get at least a baccalaureate degree. "Times are changing for the profession, and eventually the baccalaureate degree will be the entry-level degree," she said. Thomas Jefferson University (TJU) last won the Minnies award for Best Radiologic Technologist Training Program in 2014, and the program hasn't rested on its laurels since then. TJU most recently added a master's degree in medical physics to its offerings, giving radiologic technologists (RTs) the opportunity to earn an advanced degree in the field, according to Frances Gilman, DHSc, director of radiological sciences. The move is part of the program's focus on providing a high-level education that gives students more flexibility in their careers and makes them more attractive job candidates, Gilman believes. All graduates of TJU's radiological sciences program leave with at least a baccalaureate degree. Students can transfer into TJU with two years of prerequisite courses completed at the community college level and then complete two one-year programs at TJU, each in a different modality. The program typically finishes each year with 110 undergraduates and 12 to 18 master's students. Gilman believes that dual credentials are another way for RTs to make themselves more valued in the workforce. "Someone who is dual-credentialed has a better opportunity than someone who is single-credentialed," she told AuntMinnie.com. If a practitioner already has a baccalaureate degree, TJU offers a one-year executive master's program, one of the first of its kind in the U.S. in radiology. The initial program was in education and management, but the university has subsequently added clinical topics for RTs looking for management positions. While the job market for technologists has improved since the Great Recession began in 2008, it has undergone fundamental changes, Gilman said. Per diem jobs are much more common now, and full-time hospital staff positions have become increasingly rare. And as full-time technologists retire or leave, hospitals seem to be replacing the positions with per diem jobs as a way to save money on benefits. Still, most TJU graduates are finding per diem jobs fairly quickly, and these often eventually morph into staff jobs as hospitals become more comfortable with employees. "The job market is much better than it was," Gilman said. "What I don't see is kids finding full-time jobs right away, but what they are finding are these per diem jobs. Some of them turn into full-time jobs pretty quickly." 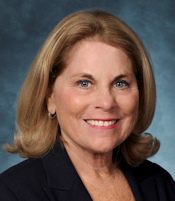 Bernadette E. Garofola, M.Ed., R.T.(R)(T)(CT), FASRT, is recently retired as chief radiation therapist at Thomas Jefferson University Hospital in Philadelphia. Backed by a radiologic science career that spans more than 30 years, Garofola has participated in ASRT volunteer activities since she joined the Society in 1986. 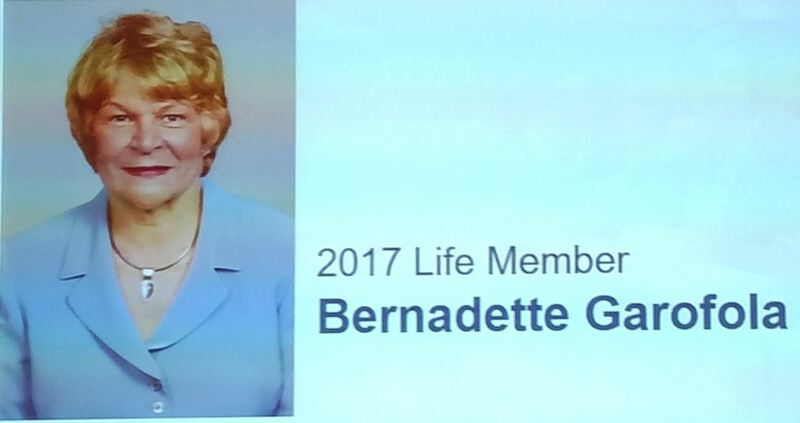 In addition to serving terms as a delegate for the Radiation Therapy and Management chapters, she has been a member of a number of ASRT communities including the Committee on R.T. Advocacy, Committee on Bylaws and Committee on Nominations. In 2011, she was named an ASRT Fellow and was honored with the ASRT Award for Outstanding Grass-roots Advocacy. PhilaSRT @ ASRT Annual Governance and House of Delegates Meeting in Orlando, Florida, June 22-25, 2017.